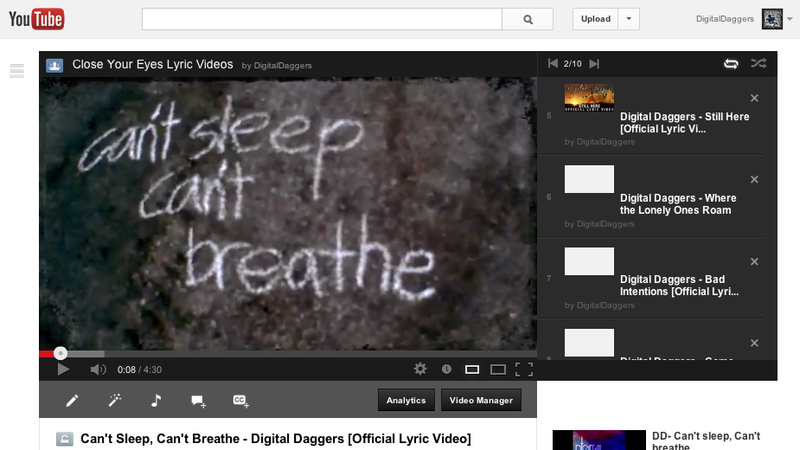 Digital Daggers have just posted lyric videos for every track on their new album Close Your Eyes. The bands multi-instrumentalist and producer Space created all of these awesome lyric videos. Each lyric video is a cool representation each track. Check it out below or over on the bands YouTube channel! 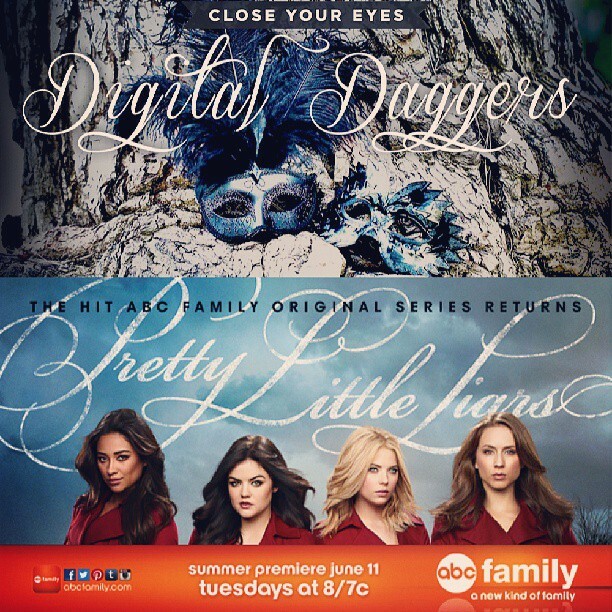 If you are a fan of ABC's show Pretty Little Liar's make sure you check out Digital Daggers new track "The Devil Within" during the last scene of tonight's episode! If you like what you here the track is available on iTunes. Digital Daggers new album Close Your Eyes is out TODAY!! The Digital Daggers have done it! They have taken our proverbial record label cherries! The bands new album Close Your Eyes is out available EVERYWHERE today! Close Your Eyes is the first record on El Camino Media and we are all super excited for it to be out in the world. Check it out on iTunes HERE. Stay tuned for many more amazing records, and of course to hear much more about Digital Daggers. PureVolume is streaming the new Digital Daggers album today! Our friends over at PureVolume are streaming Digital Daggers new album Close Your Eyes in it's entirety today. Head over here to listen to the band's new album which comes out next Tuesday. If you like what you here you can pre-order the album from our web store and pick up the limited edition blue vinyl. Digital Daggers have released a new lyric video for their song "The Devil Within". The track comes from the bands new album Close Your Eyes, which is due out June 11th. If you dig what you are hearing make sure to check out our pre-order, which has some cool blue vinyl that is has numbered and signed by the band. Check out the CW network's show Nikita tonight for a brand new Digital Daggers song called "The Devil Within." The track comes from the bands new album Close Your Eyes which comes out June 11th, 2013. Digital Daggers post lyric video for "Bad Intentions"
Digital Daggers have posted a lyric video for their new song "Bad Intentions." The track comes from the band's forth coming album Close Your Eyes, which is due out June 11th. Check out the video below. 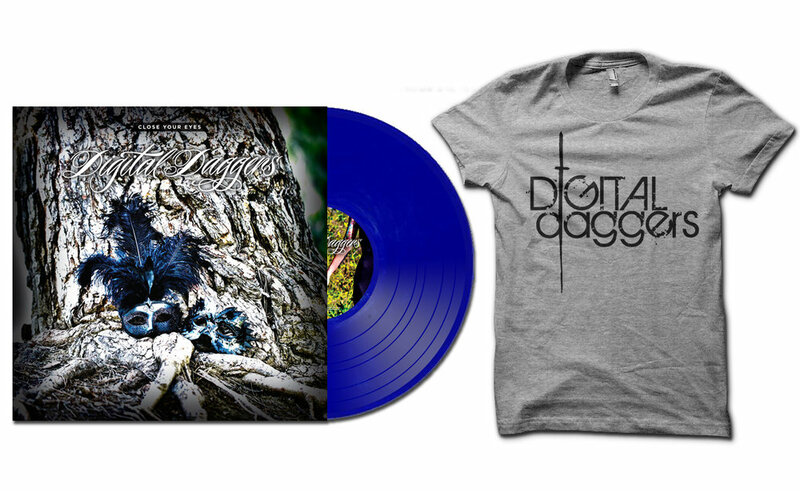 Digital Daggers have launched a pre-order for their new album Close Your Eyes which is due out June 11th! The pre-order has some pretty rad options including a limited edition signed hand numbered blue LP, flexi vinyl 7" and all sorts of other sweet stuff. If you are interested in pre-ordering just head over to the El Camino Meida web store and check out your options. The Digital Daggers have launched a cool new lyric video for their new song "Out Of My Head". The track comes from the bands new album Close Your Eyes, which we are releasing on June 11th. Check out the video below! We are excited to announce our first release! One June 11th, 2013 we are going to be putting out the new album from Digital Daggers entitled Close Your Eyes. Digital Daggers’ self released their first album, The Devil Within, in early 2012 and it immediately caught the ears of music supervisors everywhere. The album had tracks placed in numerous movies, TV shows, video games and commercials including the Vampire Diaries, Nikita and Pretty Little Liars. With Close Your Eyes the band aims to broaden their reach and to achieve that goal that they have established a partnership with us (El Camino Media), which is owned and operated by the bands former EMI Publishing A&R rep Matt Messer.